Let’s be honest, all of us beauty/makeup lovers have purchased items because we’ve seen bloggers, YouTubers, or commercials rant and rave about it. I know I am guilty! But the problem is that those products aren’t always “worth the hype” and are a total waste of money. I rarely have a lot of money to waste, so when I buy beauty products…I want to know that they are completely worth every penny, even if it is drugstore! While tastes are pretty subjective, I love reading worth the hype posts because I get to see if my fellow beauty lover think it’s worth the price! Today I thought I would just share a few products I have tried lately and let you know if I think it is worth the hype! Remember the hype doesn’t always have to be expensive items, plenty of drugstore makeup is hyped up as well! I’ll share a mix of both for everyone’s budget! I was really late to this party; I could not bring myself to spend $27 on a concealer! But I had read a good review- one after another…I mean, could I be a good beauty blogger without trying it? I took the plunge, I had some Ulta points to redeem and went for it. Holy cow. It is absolutely worth the hype! I have never found a concealer better than this one. It takes a little, so it will last you a good while. 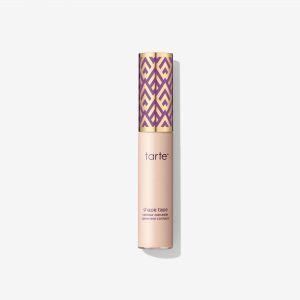 If you need high coverage for your undereye, I think you should try this concealer at least once. This gets my check of approval. I received a sample version of this in an Ipsy one month, and it has been by far one of my favorite Ipsy finds! I rarely feel like serums do much for my skin and I use them because its a common part of the “skincare regimen.” I fell in love with this serum! It is a thicker serum, a more watery moisturizer I would say. It feels so lovely on the skin ladies! I believe it is worth the hype and the expensive price tag. Remember that serums don’t take much product at a time so one bottle should last you a good amount of time. 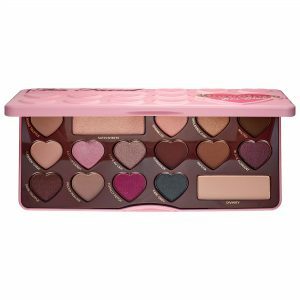 I will specifically be talking about the Bon Bon palette, but I believe any of the chocolate bar palettes are worth the hype! They have 16 highly pigmented shadows that are long-lasting and very buttery on the lid. I believe this is probably one of my most expensive palettes but It has a good amount of shades in each palette and a color combo for everyone! The original Chocolate Bar palette is too brown toned for me, but the Bon Bon palette is full of great cool toned shades. Too Faced makes really good mattes as well as shimmers. This palette is changing my highlighter game! I am getting more and more in love with highlighter. 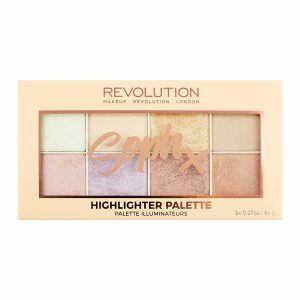 Soph is a Youtuber that did a collab with Makeup Revolution and this highlight palette was one of them. There are 8 total highlighters- 5 baked and 3 pressed. All the shades are wearable and apply beautifully. The shimmer is very small, not glittery which is what I prefer. This palette is worth every penny! If you are looking for an affordable highlight palette, this is a great one. I was exceptionally surprised at just how much I loved this one! I rarely buy high-end mascara. I feel like mascara is something that most drugstore brands do very well. But back in June, I bought a Sephora Favorites Mascara value set which comes with a voucher for a free full size of one of the mascaras in the set. 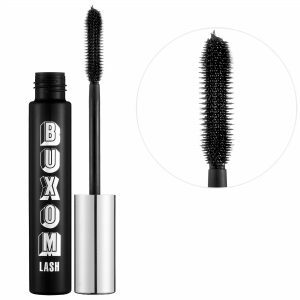 Even though it was the cheapest of all of them, this Buxom mascara is just wonderful. The wand, while big, is really delicate and soft on the eyes. I don’t mind a little clump to my lashes but I don’t want them to be too obvious. This mascara leaves my lashes long and volumized. Some following links are affiliate links. That means that if you make a purchase, I may receive a small commission. These commissions help me continue to provide great posts. Please see “Legal” tab for more information. Some of you might disagree. I know this is only $8 so it’s hard to believe it isn’t worth the hype. I normally am a huge supporter of e.l.f. but I was not overly impressed with this. The bristles are extremely soft but they were very short. When you put it on your face, the bristles almost disappear to the side, if that makes any sense. In the end, I just was not impressed with it. For e.l.f., $8 is a bit steep and my brush came almost melted on the back of the plastic. Maybe I just received a dud! I really wanted to love these lip kits. Makeup Revolution doe some really amazing products but this lip kit was very underwhelming. The formula was not good; extremely tacky- it never really dried down for me. I hate tacky lip products, I’d rather it be glossy than tacky. The liner color seemed off from the liquid lip color, which I didn’t really understand. I will say the color selection isn’t that great either, there are 8 shades and they are all almost the exact same shade. My sister bought a Too Faced grab bag around Christmas and this is one of the items that we received. At first, it all looked amazing- waterproof, dual ended, good colors. But holy blackness! This is one messy eyeliner. not only is the tip a fairly big tip but it is very crayon-like and goes of thick and harsh. I am lacking good descriptions for this product, but I have not used it but that first time! Within minutes I had smudges all under my eye. Not worth the hype in my eyes! I love Real Techniques! But I was confused by this sponge. It’s dual ended but the package said to use only dry. I really don’t like to use sponges unless they are damp so I had no purpose for this sponge. It was too dry and too dense for me to use, personally. I’d rather just have their plain expert face sponge instead! It definitely isn’t expensive but not worth it to me! Oh my gosh Ive been on the fence as to if I should get the highlighter palette, Thank you for this recommendation! Now I have an excuse to go buy more makeup… on that note maybe you should post more like this, and then I can shop with a good recommendation more often! I will definitely have Too! I also love reading and watching these kinds of posts! It’s so nice to hear what people think before buying. Oooo I’ve been looking for a new face serum! I’m going to have to try that. Thank you so much for sharing! 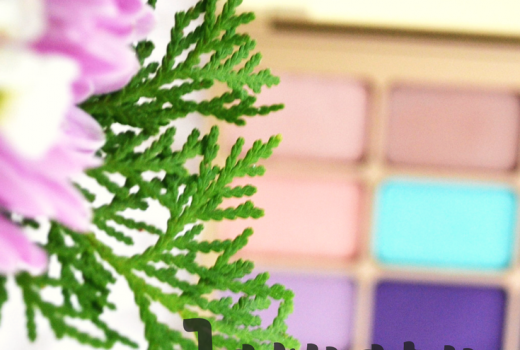 Thanks for sharing your opinion on makeup brands that are worth the hype! I love makeup and am guilty of spending wayyyyy too much in Sephora. It’s nice to find products that can be used everyday and not break the bank! The only thing that keeps me from spending a lot at Sephora is there crappy point system! Ulta, however, is my weakness! I always struggle with the hype, too! This is so helpful!! I’ve looked at that Buxom mascara before decided to put it back. May have to go back and try again! It is definitely not something I would have picked, that’s why I love those Sephora Favorites! I’ve heard awesome things about the Hey Honey serum, that your suggestion may push me to try it out. So many awesome products! Love this post! 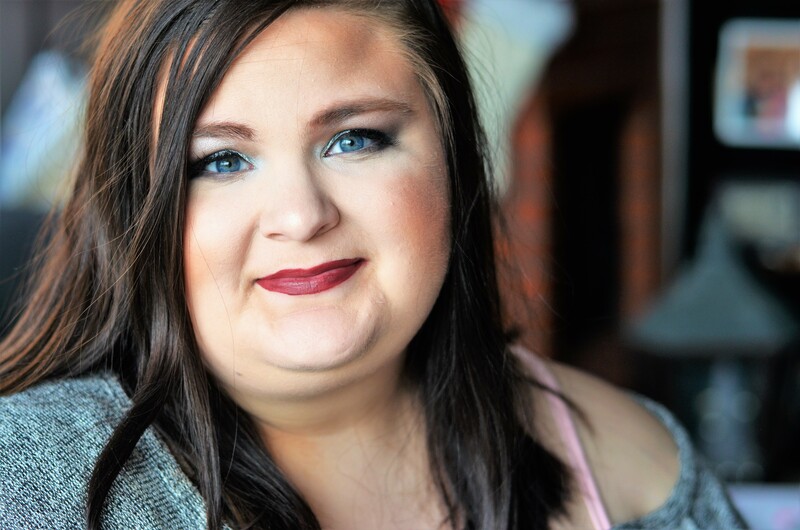 I’m always on the look out for new beauty tricks (busy Mom here) I love that you weed out the the products that aren’t worth it- and I think I need that concealer in my life! Definitely going to try it out! I almost never wear makeup (despite owning lots of it) so reviews like this are really valuable! It’s such a struggle to find things that work for my skin and schedule! i’ve used all of the products here and totally agree with what you have as not worth the hype haha! I dooooo love shape tape so much though!